It's museum weather. Too cold for me to wander around the streets. 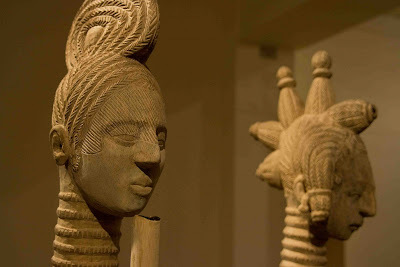 The Horniman Museum has a collection of ethnic artefact's, musical instruments and stuffed animals. Collected by a Victorian Tea Trader in the 1860's, some of which would never be permitted to leave the countries of origin these days. Egyptian mummies, taxidermied animals of every type imaginable, including a giant walrus. Over 7,000 musical instruments from around the world are on display with sound recordings for most. thanks for the info on the museum. I will have to go there next time i am in London. Also, i loved your skywatch puddle shot. Another museum to add to my list of places to visit. Thank you very much. Tea was a profitable business judging by these interesting items. Beautiful! These are the kind of ethnic pieces I really love! Very nice to look at for a while. Love the colour and light.